BART seems perfectly content to spend half a billion dollars on a slow airport connector in Oakland even as the transit agency faces a budget deficit. Amid the cries of "boondoggle" from opponents, the Oakland Airport Connector project has inched forward once again. BART has selected the bid from Parsons/Flatiron, which at $492 million was the lowest bid -- and at that, still only a shade under budget. The company plans to use technology from Swiss and Austrian company Doppelmayr Cable Car, and it probably won't even be able to hit the speed limit on Hegenberger Avenue of 30 miles an hour. Which would also be slower than alternatives like bus rapid transit service, which BART isn't interested in considering at this stage in the process. 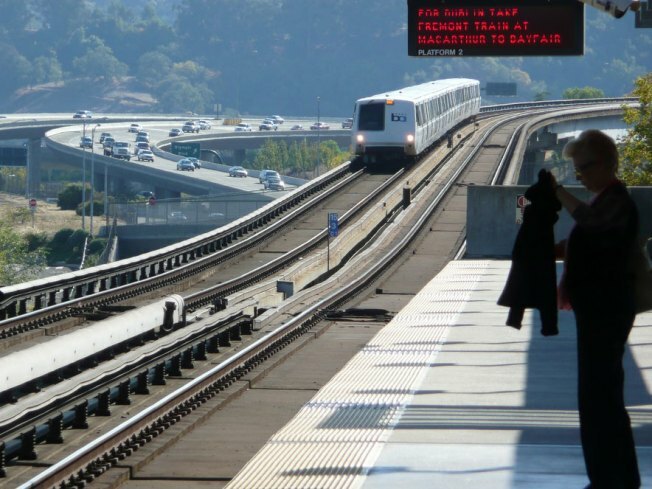 And there's still no word if the connector will make any stops between the Coliseum BART station and the Oakland International Airport -- which critics of the plan have argued would help justify the expense by connecting BART riders to the businesses in the area. BART spokesman Linton Johnson said that there could be intermediate stops -- if Oakland puts up the money. The expense of the project means that the current $3 fare for a ride to the airport would probably double. Meanwhile, BART is facing huge deficits thanks to declining ridership, meaning fare increases can probably be expected sooner rather than later. The BART board of directors will vote on approval of the bid tomorrow. Jackson West flies Southwest out of Oakland all the time, but he rides BART far more often and would rather see that half billion spent improving the current service.